Yoga classes these days come in so many varieties and there are so many different ways to practice yoga now that you can be overwhelmed by all the options that are on offer in the vast yoga skyline. The different methods of teaching and sharing yoga, though, are all offering you one thing: to see how yoga practice can transform the way you see yourself and your life. Here at SYL many people come looking for different benefits from developing a yoga practice and we personally feel that practising yoga is about engagement, empowerment and transformation. But in fact, when we ask beginners the reasons they want to begin a yoga practice, the most popular are to become stronger and more relaxed. We support your yoga practice, from wherever you come from, by helping you learn the physical practice of yoga asana (postures) and breath. It is through meeting the body regularly in this way that you begin to slowly shift your perspective. We then help you to develop a self practice for yourself. We have personally seen over the years that this has been key in people sustaining and developing a new perspective in their lives. You see, we feel that when we teach we want people to get this so much that we eventually won’t be needed. That someone has developed the ability to confidently practice by themselves is a major success for us. Even if they don’t come to us anymore and they practice at home we see it as no loss, but the practitioner’s own gain. Of course we are there to continue to encourage and nurture but we don’t want people to feel bound by us. That’s the whole point. To be able to inspire people to be disciplined enough to practice on their own. People who take up a personal practice are doing something radical in their lives by committing themselves to a practice that can support them through different phases of their life. So, here are a few things we’d like to share about this method of yoga and the benefits of developing a self practice. The self practice method of Ashtanga yoga stems from the teaching of Sri K Pattabhi Jois, also affectionately known as Guruji, who developed the practice in Mysore, India. The practice can also be referred to as ‘Mysore style’. It was always, and currently is, taught in this method as this was the basis of a deep teacher-student relationship where you had many people practising together, but a teacher able to help a person individually without having to stop a whole class. 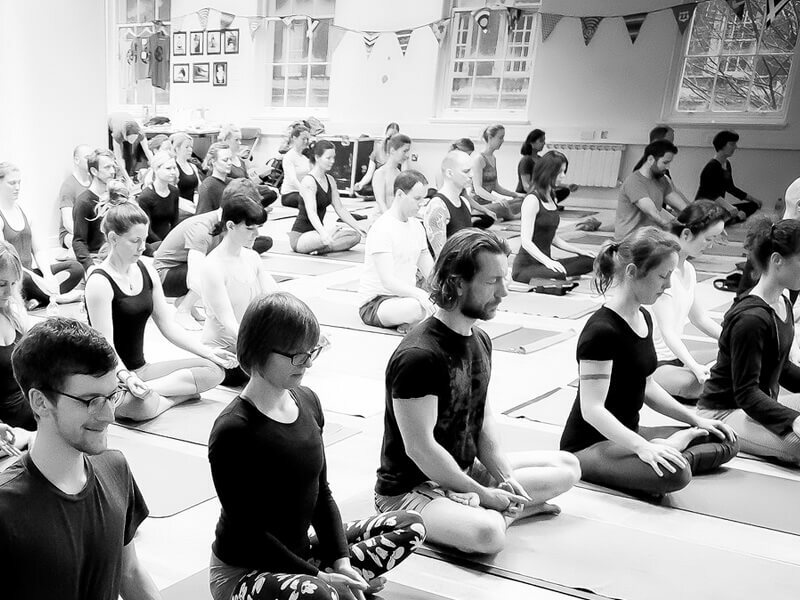 As the Ashtanga yoga practice became more popular, it turned into a led class where everyone practised as a group at the same time, all being led together by the teacher through the series of postures. This changed the emphasis from individual to collective and, whilst no bad thing, as it greatly popularised the practice and is invigorating practising together in a large group, it lost the individual responsibility of the practitioner learning the practice for themselves. It also moved Ashtanga yoga toward a more ‘power yoga’ emphasis, losing the personal development that is learnt slowly over time, breath by breath, as an individual becomes stronger in their own time. 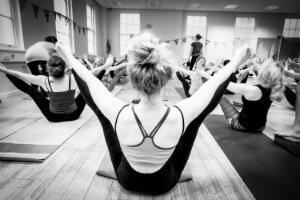 With the self practice method you are practising in a class environment with other people but, unlike other yoga classes where there is a teacher at the front showing everyone what to do, this class is different. The teacher or teachers are there in the room working with you individually in the class, whether you are learning the postures as a beginner or are more experienced and need assistance to deepen a pose. This means that within the class environment you get a one-to-one experience. There is also no particular timeframe you have to adhere to which means you can turn up to the class at any time, roll out your yoga mat and begin your practice, learning individually from whichever teacher is present, even if you are a complete beginner. If you are a complete beginner and come to a self practice class the teacher will show you the breathing method, then help you with learning a sequence of postures. In the case of our self practice class it would mean you would learn the first sun salutation on the first day. Then you have your own practice. Once you are breathing and moving on your own, practising what we have showed you regularly, you then learn more as your body and strength grow. If you already have a practice, or are perhaps familiar with the sequence but need encouragement and reminding, then we help you to remember and refine your practice by assisting, directing and adjusting you into postures, again helping you with developing the balance of strength and flexibility to achieve the opening of yoga asanas. Learning the self practice method is about choreographing the movement of the body with the flow of the breath quietly and on your own. So, when you are practising on your own the only thing you hear is the soft flow of your own breath. Also, when you’re practising in a Mysore self practice room, it is quiet. Generally, the only sounds are the quiet voice of encouragement by a teacher and the sound of everyone’s breath. When cultivating your own breath and movement you are contributing to the sound of the room too. And here’s the thing. Because the practice is about you learning, it takes time to cultivate. In fact it never really stops cultivating. There is never an end. When we practice yoga we are uncovering every part of our experience – physical, mental, emotional – at any one moment. So we are dealing with remembering the sequence, the breaths, the alignment, and so on. This is why the traditional Mysore self practice method is a 6-day-a-week practice. It becomes part of your life that you return to each day to cultivate. If we can’t fit in 6 days then that’s okay, but being able to return to a regular practice as often as possible helps us to shift many areas of our lives. When you practice on your own there really is nothing else getting in the way. Just you, your body and your breath. So you could say you are developing a relationship with yourself. How you process and develop your practice is how you open up to this relationship over time. But also, this is where we come in. This is where we see the magic of developing a self practice really happen. Because we hold the space for all of this to happen, we share the method so you can take the method and play it out for yourself, in your own life. We are not imprinting anything on you. We are meeting you and saying, “Try this physical practice and see how it goes,” and we are being with you as whatever comes up for you comes up. We do this because this is how it has been done for all of us by our own teachers. Our whole purpose as yoga teachers is to somehow stoke the fire in you that allows you to run with the practice for yourself. This is where the ‘assisted’ part comes in. We are there as a support as things come up while this learning is taking place, i.e. helping you to remember the sequence and names of postures, where to breathe, encouraging a deepening into your practice, etc. But ultimately we are helping you to become responsible for practising by yourself. We are then there to help you deepen this focus while all the time continuing to support you safely through your practice. 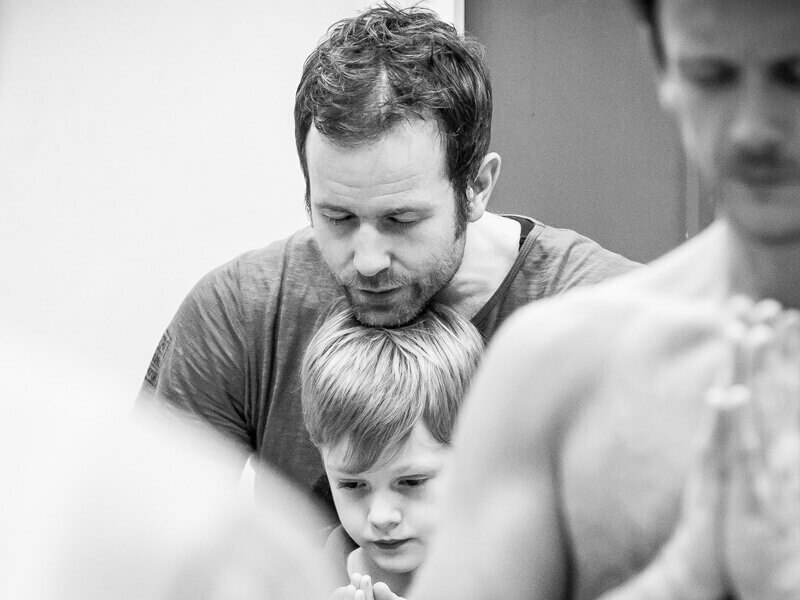 Developing a self practice takes participation, commitment, learning and growth. But, by their development alone, these same things are being nurtured consistently in your life and will become the framework from which you begin to meet the world away from the mat. Which, ultimately, is what we believe we are really practising for. Are you an Ashtanga beginner? 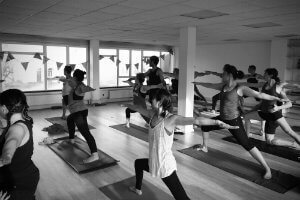 We’re passionate about introducing people to the Mysore style self practice method of Ashtanga yoga. We believe this is one of the most profound ways to cultivate a safe and lifelong personal yoga practice. Find out more and sign up for one of our monthly beginners courses below.